Pervez Ghauri is Professor in International Business and Editor in Chief for International Business Review. He is Fellow of AIB and EIBA and sits on EIBA board. Pervez Ghauri completed his PhD at Uppsala University in Sweden where he also taught for several years. After Uppsala, he joined Oslo Business School (later merged with Norwegian School of Management), Oslo Norway as Dean for Academic Affairs (Provost) where he developed an International MBA programme. In 1993, he joined University of Groningen, Netherlands as Professor of Marketing and International Business and later served as Dean for the period 1997 – 2000. In 2001 he was asked to join Manchester Business School, University of Manchester, as Professor of International Business where he developed a Centre for International Business Studies and an MSc in International Business. During the period 2008 to 2015 he was Professor of International Business at King’s College London where he developed an MSc in International Marketing and reorganized the MSc in International Management. At present, he is Professor of International Business at Birmingham Business School, University of Birmingham, UK. Pervez was visiting Professor at Michigan State University, USA during the period 2000 – 2001 and is Visiting Professor at University of Vaasa, Finland, Uppsala University and Lund University in Sweden and holds British Hispanic Foundation’s “Queen Victoria Eugenia” Honorary Chair for Postgraduate studies at Complutense University in Madrid, Spain. He served as Vice President for Academy of International Business from 2008 – 2010. He is Fellow of Academy of International Business (AIB) and of European International Business Academy (EIBA). Recently, he was awarded an honorary Doctorate by Turku School of Economics and Management, University of Turku, Finland. 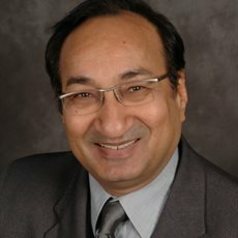 Pervez has published more than 30 books on International Business and International Marketing topics and numerous articles in journals such as; Journal of International Business Studies, Journal of World Business, Management International Review, British Journal of Management, Journal of Business Research, Industrial Marketing Management, European Journal of Marketing and International Marketing Review. He consults and offers training programmes to a number of organisations such as; BP, Airbus Industries and Ericsson. He is the founding Editor in Chief for International Business Review, the official journal of EIBA, and was Editor (Europe) for Journal of World Business for the years 2007 – 2014. He is also series editor for the book series International Business and Management.